We are a congregation involving individuals coming from a wide range of backgrounds and worshiping communities. The Church building was built in 1859 with the adjoining hall opened in 1957. The entire premises were completely renewed with the refurbishment of the Church in 1994 and the Hall (including the construction of a link building) in 1996. For a history of Methodist in Midsomer Norton click here. Please note this is subject to copyright. The town nestles in the foothills of the Mendips where for over 200 years coal mining was the main industry. Midsomer Norton reflects the national trend of old industries ceasing and the growth of new small enterprises. 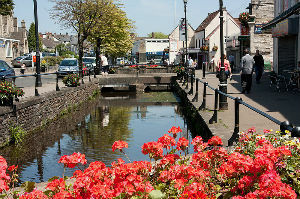 The population of Midsomer Norton is 11,000 and continues to grow as a result of continuing housing development.